LAWRENCE — In this pulse-pounding rock musical adapted from a controversial 1891 play, young men and women struggle to define themselves within a repressive culture. A smash hit on Broadway and winner of eight Tony Awards, “Spring Awakening” resonates with the adolescent within all of us. 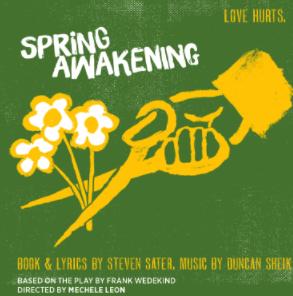 “Spring Awakening” plays the weekends of April 20 and April 27 at the University of Kansas University Theatre. Performances are at 7:30 p.m. April 20, 21, 27 and 28 and at 2:30 p.m. April 22 and 29 in the Crafton-Preyer Theatre at Murphy Hall. 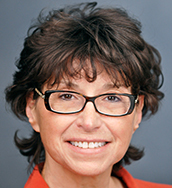 It is directed by Associate Professor Mechele Leon. Tickets for “Spring Awakening” are on sale now at KU ticket offices and online at www.kutheatre.com. Tickets are also available by calling the University Theatre, 785-864-3982, and the Lied Center, 785-864-ARTS. Tickets are $22 for adults, $21 for senior citizens and KU faculty and staff, and $10 in advance, $15 at the door for KU students. The company includes Sarah Van Zwoll, Overland Park senior, as Wendla; Ethan Malin, Wamego junior, as Melchior; Robert Crone, Emporia senior, as Moritz; Spencer Gochis, Overland Park senior, as Hanschen/Rupert; Matthew O’Brien, Kirkwood, Missouri, sophomore, as Ernst/Reinhold; Timothy Alderman, Chicago senior, as Georg/Dieter; Christian Boudreaux, Rose Hill senior, as Otto/Ulbrecht; Cassidy Ragland, Fayetteville, North Carolina junior, as Martha; Dalima Kapten, a Wichita freshman, as Thea; Noelle McDonald, Overland Park senior, as Anna; Kayla Cook, Highland junior, as Ilse; Brandon Hedger, Mansfield, Texas, junior as the Adult Men; Lusie Cuskey, doctoral student, as assistant director; Lexey Jost, first-year MFA student, as scenic designer; Kate Smeltzer, first-year MFA student, as costume designer; and Martha Keslar, Lawrence senior, as the stage manager. The production features the following faculty and staff members: Janice Craft, a KU Theatre lecturer and Lawrence-based actress, as the Adult Women; Michelle Heffner Hayes, professor of dance and interim theatre department chair, as choreographer; Ryan McCall as musical director/conductor/musician; and Ann Sitzman, the KU Theatre technical coordinator, as lighting designer. A member of the KU faculty since 2002, Leon teaches theatre history, dramatic theory, acting and directing at the undergraduate and graduate levels. She has served as chairperson of the Department of Theatre (2012-2017) and as artistic director of the University Theatre (2009-2012). “Spring Awakening” is her 10th production with University Theatre. Most recently she directed her translation and adaption of Molière’s “The Rehearsal & The Hypochondriac.” She adapted Brecht’s “Man is Man,” with original music by Ryan McCall. Other University Theatre productions include “George Dandin,” “The Maids,” “How to Succeed in Business Without Really Trying,” “Shiloh Rules,” “Shakespeare in Hollywood,” and “Adding Machine: The Musical.” She recently created and performed the solo piece “Bladder Interrupted: A Self-Story About Cancer” at venues in Kansas City and in New York City.